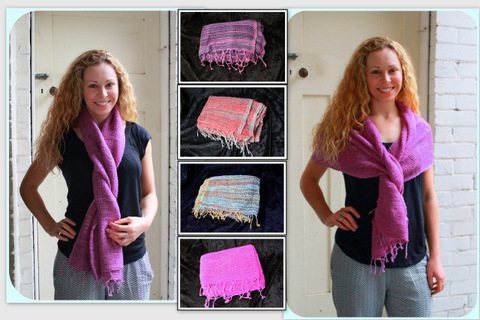 Hand selected for their quality and colours These beautiful scarves are a 100% cotton loose weave. 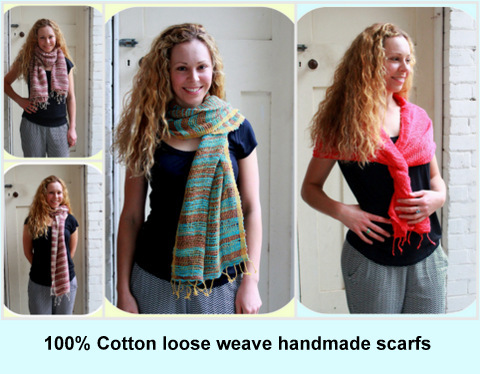 Although they are an open weave they are very warm and comfortable. We have a limited selection of colours and patterns available. 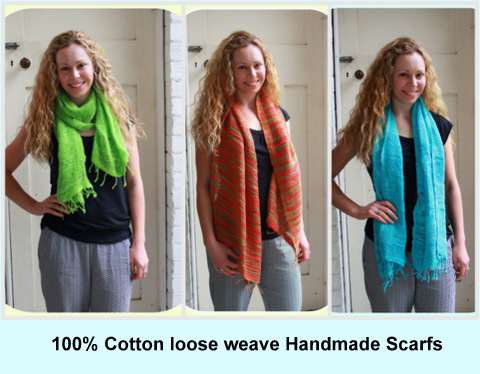 (See photos) Theses makes great gifts or spoil your self for Spring and Winter. 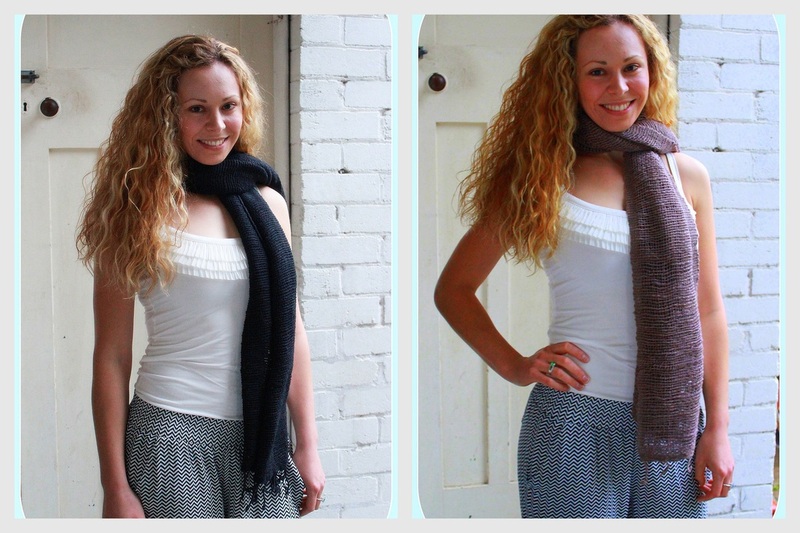 These unique scarves are available in a variety of fashion colours to compliment any wardrobe.